Farmville. 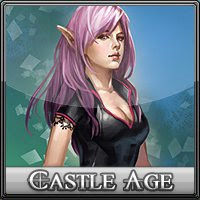 Castle Age. Fashion World. Cafe World. 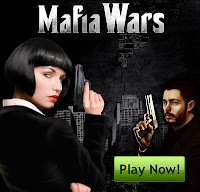 Mafia Wars. If you are a religious Facebook user, those titles should definitely ring a bell! I for one admit that YES, I cannot go through a day without visiting Facebook and playing its very addictive games. Its my immediate relaxation & recreation instant fix. Its where I get a fraction of satisfaction when I take a look and see at my level, my high scores, and the things that I've harvested or accumulated in these games. Some even take pictures of their "handiwork" and proudly show it off on their respective Facebook profile walls! I don't know if people think we are weird or funny or crazy, but frankly I don't care what others think. This I know for sure, that playing facebook games is one of the cheapest source of recreation that I can get my hands on and it works. I love em so much that I would now like to list some of my favorite Facebook games that maybe you'd like to check out when you don't have anything to do and you just want to "play" mindlessly for your brain to relax. So here is my TOP FIVE FACEBOOK GAMES! This is now my most recent addiction. I LOVE THIS GAME! I've tried Fashion War, Sorority Life, and other "fashion" related games which I eventually lost interest in because it was too shallow, cheesy, or easy. But Fashion World caught my interest since honestly, I have come to realize that I'm a sucker for time management games. I guess the reason why I love this game is because I can dress up my character, choose the "clothes" that I want made, design my "boutique" where I will sell the "clothes" that I made, and hire other people as well to help me sell my stuff! Not only that, you are given a chance to visit your neighbors' shops and buy stuff there and get free stuff as well to sell in your own store! I dunno, maybe its the girl in me but I really enjoy the "shopping spree" that I get to do with this game. Oh and what makes this game so unique is that you are also given an option to "design" an attire and make it and sell it! You get to express your creativity while you're at it! Definitely a game for those who are sick and tired of "cooking", "farming", and "killing" in other games. I greatly recommend this even to kids who are aspiring to be fashionistas or stylists! Zynga has indeed acknowledged the fascination and satisfaction people have in earning "virtual" money through tasks that all you need to do is time it right and click click click on the appropriate time frame to earn MORE virtual money! Cafe World is a result of the success of another game that I will mention later. Restaurant City was also established to keep Zynga on their toes.. or stoves in this case! I love the whole buy, cook, and sell idea of this game and the fact that you can choose the menu that you will be selling. Its definitely a better alternative to those who are waiting for their respective farms to harvest. Ok so this is one of the oldest type of games that I've ever played here on Facebook which I really was addicted to for more than a year. I think the reason why planting and harvesting farms became a hit as a game is because you can immediately "see" the results of your supposedly hard work! Again, patience and time management skills are put to the test in this game and I had definitely enjoyed playing it. Designing your farm, buying stuff, and well for me I think these two games-- most especially FarmTown has indeed proven its worth because not only do you enjoy the game but you learn something new from it as well! Hands down, this is definitely a game that will not die down! With the very nature of the game itself, of course Mafia Wars drew the attention of most of the male Facebook population. Basically you have to create your own "gang" empire through stealing, killing, doing illegal businesses, and fighting--all just by clicking a button. Recently though I've been thinking about it and I'm a bit bothered by some aspects of the game especially the whole idea of the "killing" aspect of the game and plus the moral issue of stealing, crime, etc. about it (yes this is the teacher in me talking). But I guess thats what drew most people to it.. the whole gory and violent aspect of it. Definitely the biggest money maker business of Zynga, they even sell Mafia Wars Godfather points card at Walmart! Now this game is my personal favorite. Maybe because I've been playing this for so long and its one of the facebook games where my level is quite high! But I guess it all just boils down to the simplicity of the game, the fantasy aspect of it, and the various things and strategies one has to do to earn points, level up, and gain more "gold". I guess one of the things that I like about it the most is the fact that staying connected to your castle age friends or "army" helps you a lot. It even allows you to interact with other players of the game which makes it unique. The "rewards" system of the game also encourages you to stay -- they lure you with new items and leveling up opportunities. This game for me is definitely the winner! I got hook with Farmville before, but I get tired of the usual routine, there is no excitement anymore so I don’t play anymore. Yeah I used to be a Farmville addict as well.. but now with all the choices of new games to play, its fun to explore new games there.